Motor yacht AMMOS was built in 2003 by the UK shipyard Princess Yachts and measures 18.11m (59.5ft). 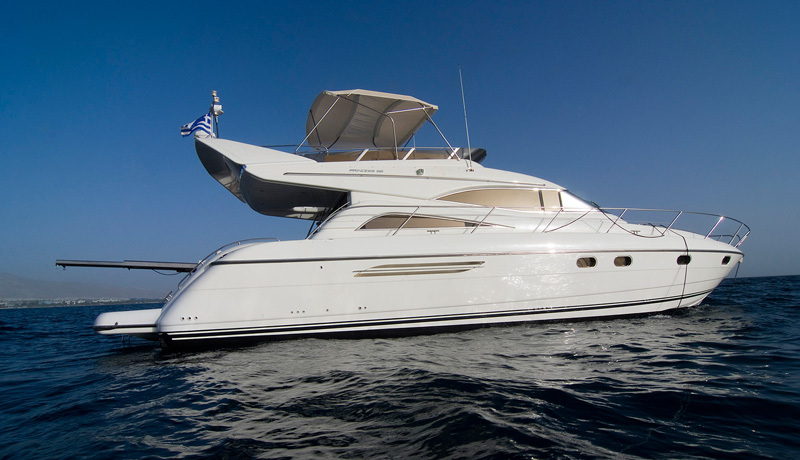 M/Y AMMOS underwent a refit in 2013 and is available for luxury yacht charters in Greece. Crewed charter yacht AMMOS’s interior is open and contemporary, featuring warming cherry wood panels and joinery, modern cream leather soft furnishings and neutral plush carpets, in a light ivory hue. The salon offers a large crescent shaped sofa, coffee table, additional seating and full entertainment aft. Forward, in a raised position and benefiting from fabulous views, is the formal dining area. The interior helm station is forward of the salon and dining, while the galley is a few steps down to starboard from the salon, allowing guests ample uninterrupted space. 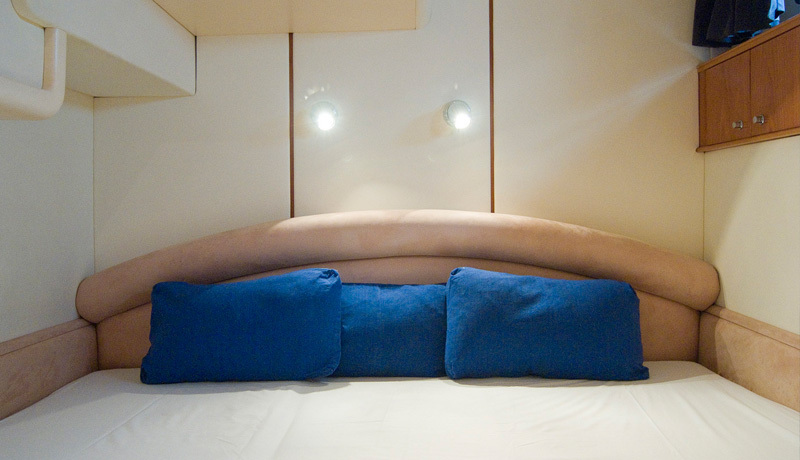 Guest accommodation is below decks, in 1 master and 2 guest cabins. 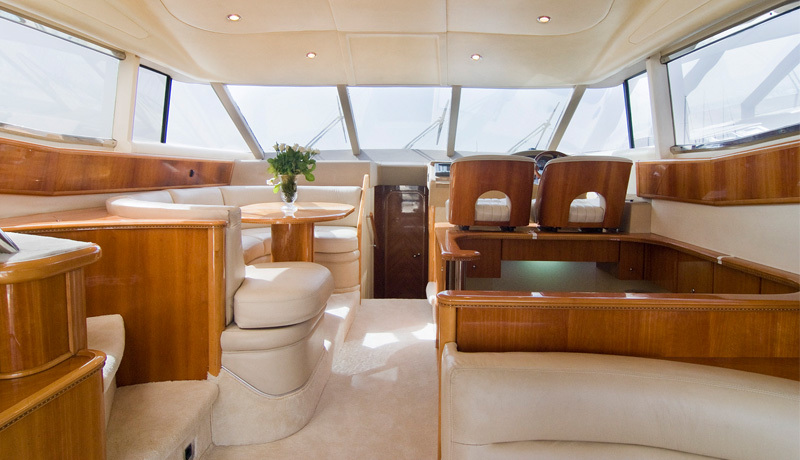 Charter yacht AMMOS is fully air conditioned throughout. 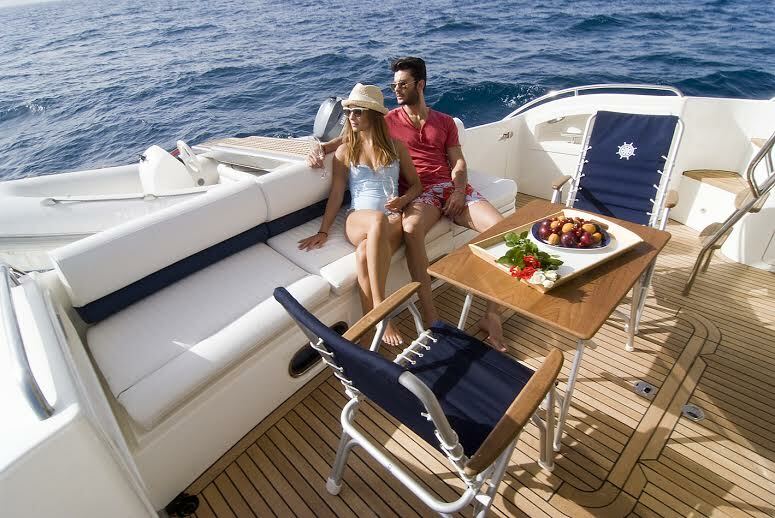 The Princess 56 motor yacht AMMOS has plenty to offer on exterior living, boasting 2 generous decks. The aft deck is adjacent to the salon and has an alfresco dining option, seating and a real social ambiance. Further aft, the extended swim platform ensures effortless water access, to the warm azure Greek seas. 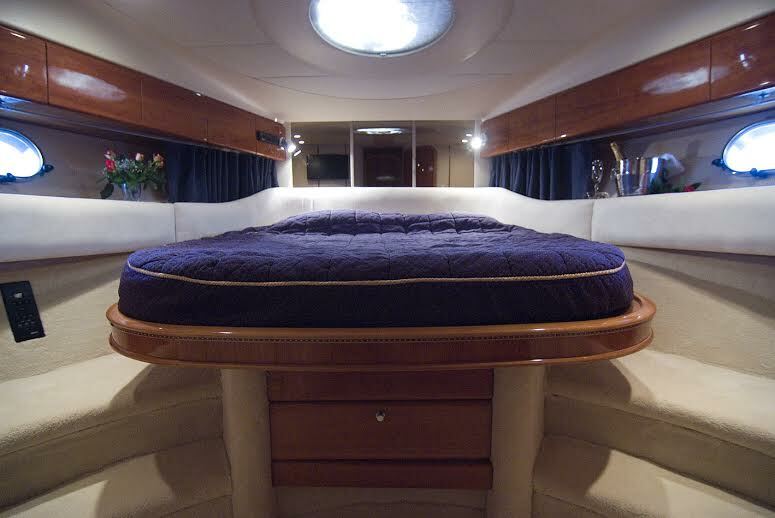 For the sun lovers and romantics, the foredeck features a large double sunpad. 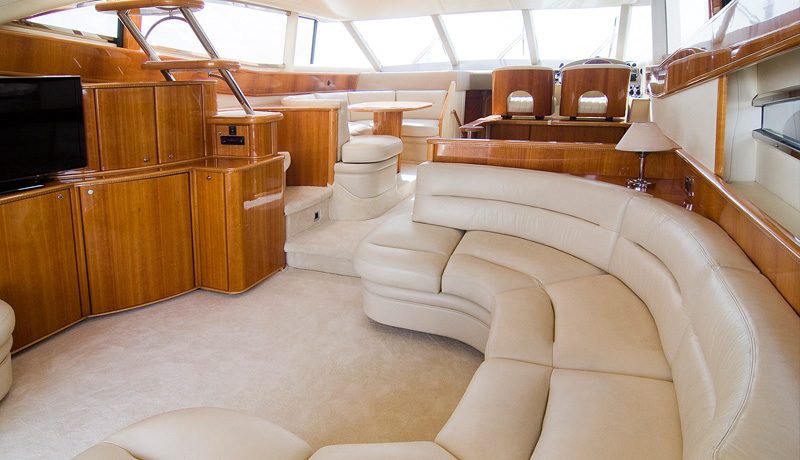 An upper deck offers an L shaped seating area, cocktail table, helm station and further sunpad. 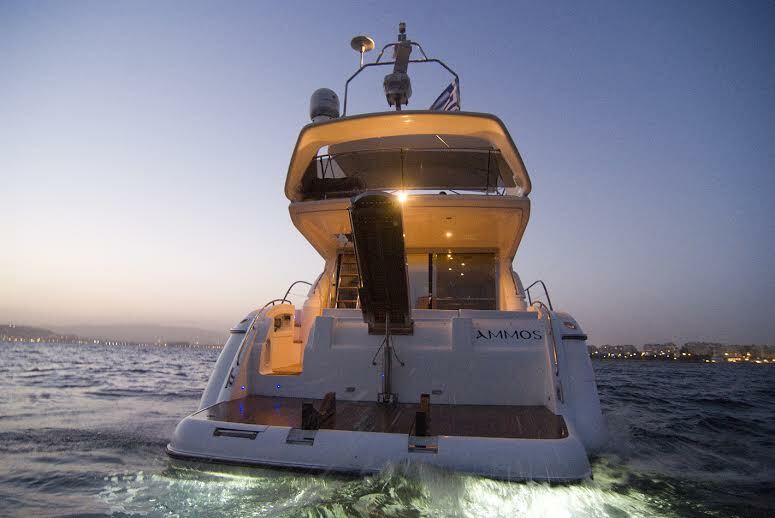 Powered by 2 x 700hp engines, the AMMOS motor yacht averages speeds of 22 knots easily. 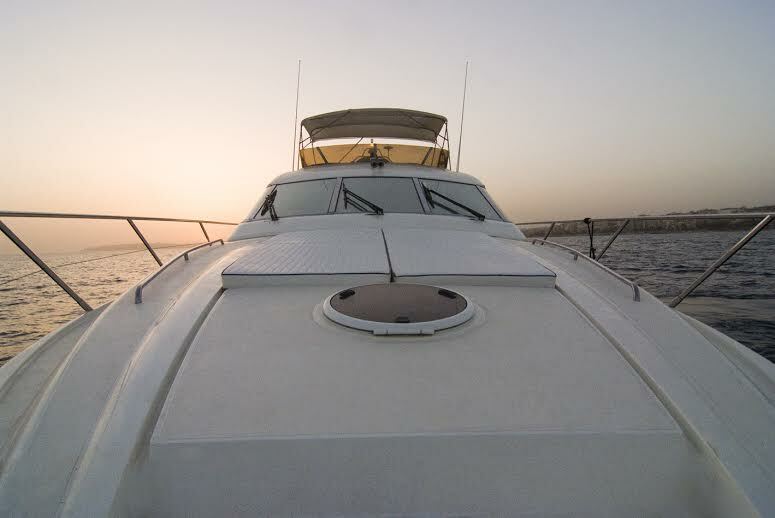 Yacht AMMOS offers accommodation in 3 cabins for up to 6 charter guests. 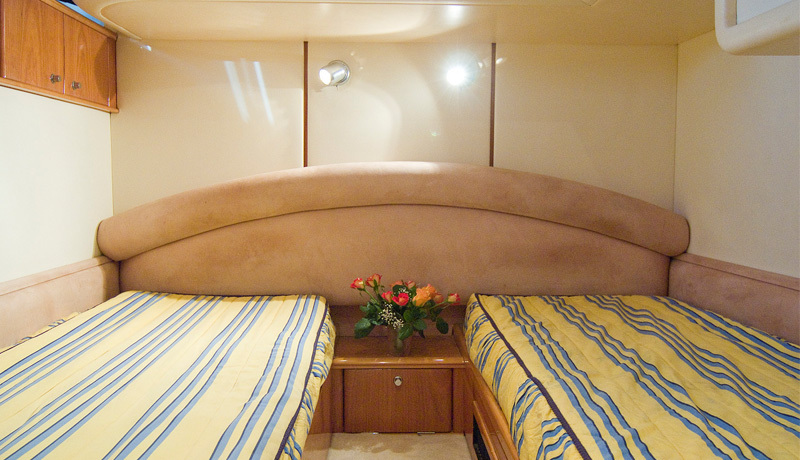 The master stateroom is forward and full beam of the yacht, with a center lined double bed and en-suite facilities. On port and starboard are 2 guest cabins, one with a double bed, the other with side by side single beds. The 2 guest cabins have shared facilities. Your professional crew of 2 has separate quarters and facilities. Please contact CharterWorld for a list of extras and amenities onboard the AMMOS yacht.